A judicial inquiry into alleged corruption at the top of government in South Africa is scheduled to open on Monday when the first public hearings begin. The hearings by a panel led by the country's second highest judge, Deputy Chief Justice Raymond Zondo, will probe allegations of corruption and fraud in the public sector during former president Jacob Zuma's tenure. Although the panel does not have powers to arrest or prosecute, evidence it collects can be used in any future prosecution. 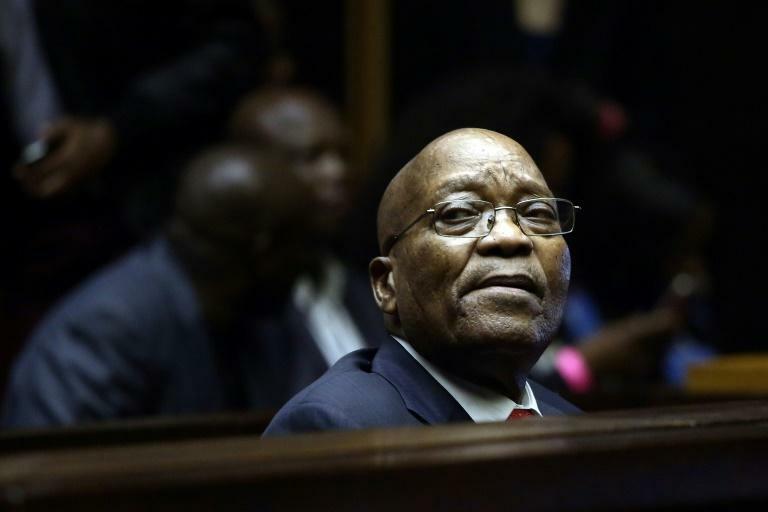 Zuma appointed the judicial inquiry into the alleged graft in January on the orders of a high court. A month later, on February 14, he was forced to resign from office as criticism grew from within the ruling ANC party over multiple corruption scandals. State corruption in post-apartheid South Africa was first exposed formally two years ago by the country's former ombudswoman Thuli Madonsela, who issued a damning report and called for a judicial inquiry into Zuma's relationship with a wealthy business family. Zuma was accused of being in the sway of the Guptas - a wealthy family of Indian origin - allegedly granting them influence over government appointments, contracts and state-owned businesses. Pravin Gordhan, a former finance minister, but now responsible for state companies, has estimated that around 100 billion rand ($6.8 billion) of state funds may have been looted through corrupt practices. Justice Zondo has vowed that the investigation into the so-called "state capture", will be carried out thoroughly regardless of who is being investigated. "I will investigate anybody and everybody no matter who he or she is. This commission will do its job properly. We owe that to the people of South Africa." he said earlier this year. The first witnesses to appear before the commission include a former deputy finance minister Mcebisi Jonas, an ANC lawmaker Mabel Mentor and the former government spokesman Themba Maseko. The local Sunday Times said Zuma has been "invited" to appear before the panel, but the commission's spokesman declined to comment on the newspaper report. Initially tasked to probe and conclude its findings within six months, the commission has asked for an extension of up to two years. Zuma's successor as president, Cyril Ramaphosa, has vowed to crack down on government corruption, which he has admitted was a serious problem. "I would hope that the inquiry gets to the bottom of how the South African state was captured in the way it was and what can be done to prevent this from happening again," David Lewis, the executive director of South Africa's non-profit organisation Corruption Watch, told AFP.